The Tennis on Campus and its Club Team program is a good supplement to a college or university’s physical education tennis classes, intramural program or recreational league that offers students and faculty the chance to represent their fraternity or sorority, dorm or any other campus-based organization in a friendly, yet competitive playing environment. The TOC playing format is designed to be flexible, so that it will work on any campus and incorporate players of all ability levels. Beginning players may elect to concentrate more on the skill building and social aspects of the game, while more advanced players might form a sport club team and compete against other nearby schools. 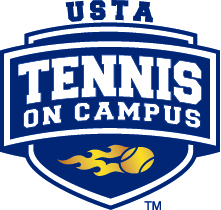 Download the USTA Guide to Tennis on College Campuses. Click here for information on how to form a TOC club team. Go to the link for the USTA's national Tennis on Campus web site.